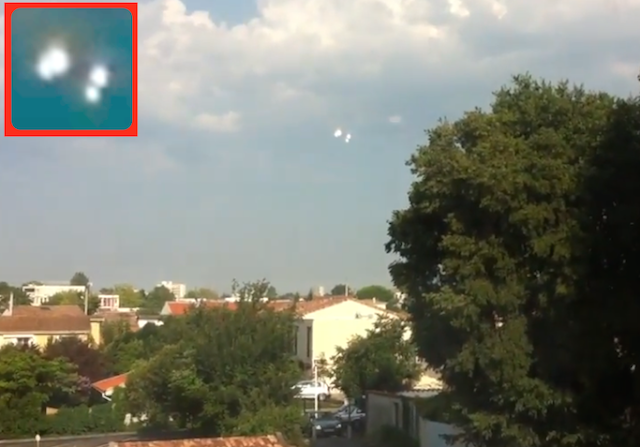 UFO SIGHTINGS DAILY: Four Glowing UFO Over Bordeaux, France On Aug 12, 2015, Video, UFO Sighting News. 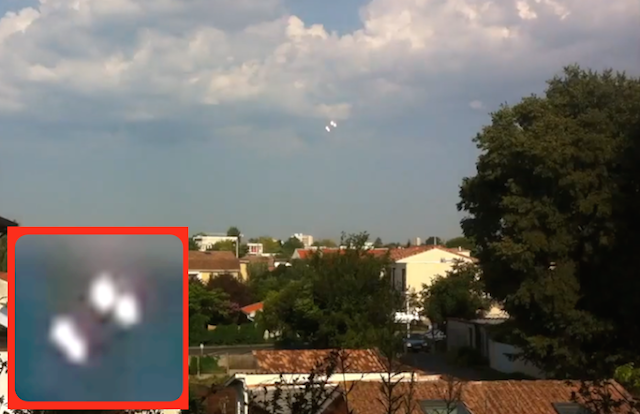 Four Glowing UFO Over Bordeaux, France On Aug 12, 2015, Video, UFO Sighting News. This is a cool catch from France. Four glowing orbs were hovering over a neighbourhood this week. As you watch, you will see the two orbs on the bottom left will move under and to the right of the upper orbs. They are flying in formation. It looks like they are scanning the homes below...probably someone important to them lives there, an old abductee, or a reborn alien from their planet born into human form. Lights in a triangular formation.